is looked after by his caretaker, Toni Inggs. Gnite Gracie. And yes, this baby is adorable! Such a miniature of the big ‘uns. I know. He is absolutely precious! I want one! So long as he stays that size. Just kidding… this is no place for a hippo. Yes, it is. Very precious. 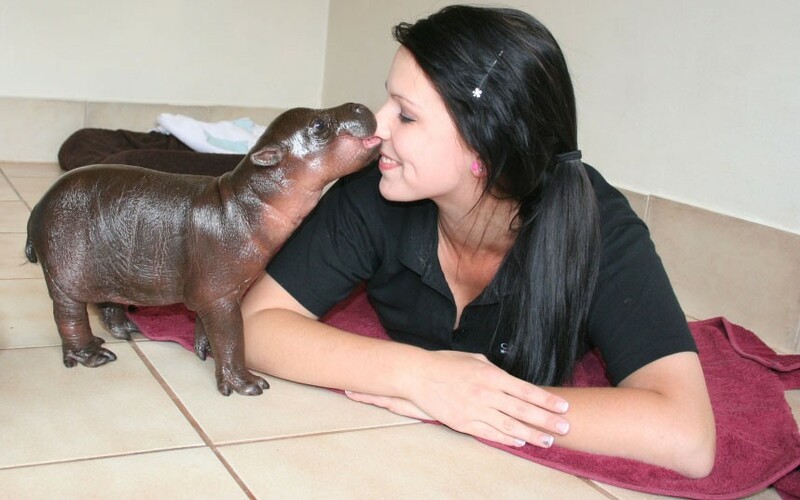 I wonder how big that hippo will grow… or small. Just curious. Cute for now!